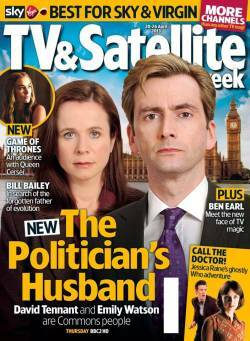 David Tennant starred in The Politician's Husband on BBC Two which was broadcast starting on Thursday 25th April 2013. Emily Watson played his wife and Lucy Hutchinson (who appeared in Prometheus) played his daughter. 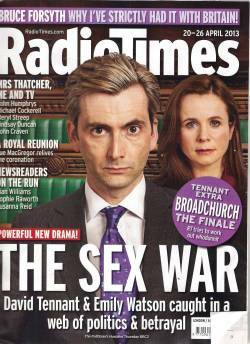 Ed Stoppard was also in the drama which aired as three one hour programmes. It was produced by Mentorn-owned Daybreak Pictures to air on BBC Two. Lucy Richer was the executive produce for the BBC alongside David Aukin for Daybreak. Hal Vogel produced the drama. The director was Simon Cellan Jones and the writer was Paula Milne. 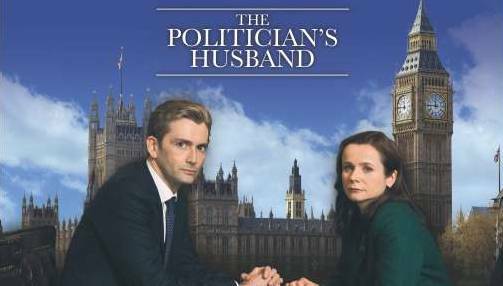 "The Politician's Husband is a drama exploring what happens in a political marriage when the wife becomes more successful than her husband. Aiden Hoynes, a senior Cabinet Minister, is happily married to Freya, a junior Minister who has consistently put her own career ambitions on hold for the sake of Aiden's career and their family. When Aiden's career path to the top echelons comes to an abrupt halt, the power balance within his marriage is irrevocably shifted as he witnesses his wife's political career soar. In his desperation to cling to power, Aiden risks destroying everything he holds most dear." BBC micro site for The Politician's Husband. BBC press release about the drama. David attended the read-through and a photo shoot on Saturday 9th June and filming started on Monday 11th June 2012. It continued until Wednesday 25th July. For posts related to The Politician's Husband on Blogger.com click here. Thur 5 - John Adam Street, London (10 Downing Street scene). Wed 6 - Indoor house scenes. One involved a flour 'fight' & another included David Tennant plaiting his daughter's hair. Tues 10 - Garden scene (West London). Fri 13 - Indoor house scene filmed in Shepherd's Bush. Mon 16 to Fri 20 - Hartswood Road, Stamford Brook, London, W12 (including scenes when he was wearing pyjamas). Wed 25 - Wrap party so end of filming. 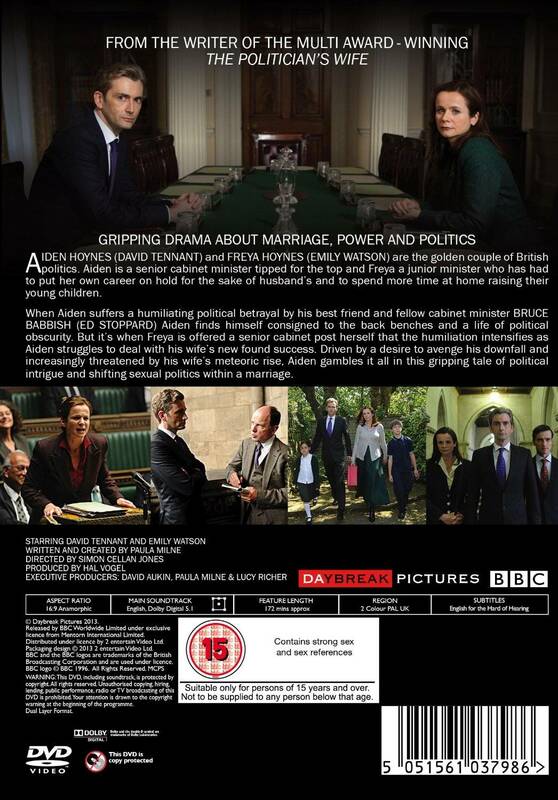 BBC First have added a clip of the first episode of The Politician's Husband to YouTube. 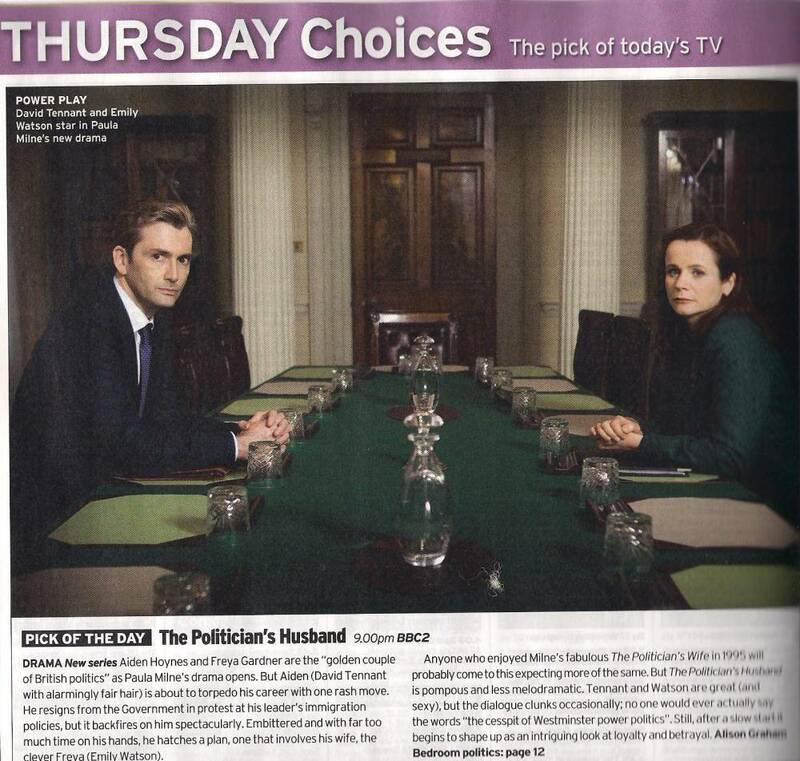 The Politician's Husband is one of the Radio Times recommended TV viewing for today. 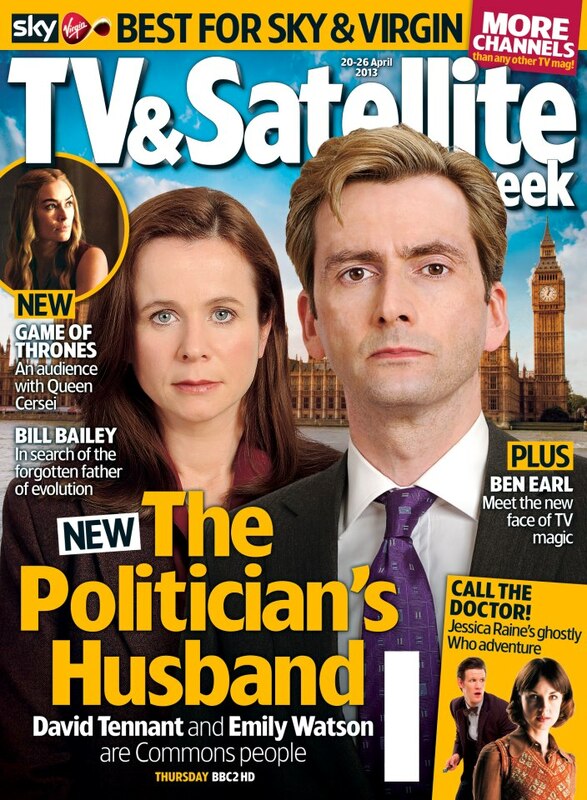 Radio Times online review of The Politician's Husband (includes a link to the preview clip). Ian Wylie tweeted a photo of the screen from the press screening for The Politician's Husband today. A Q&A with writer Paula Milne followed the screening of the first two episodes. BBC Media Centre has a new David Tennant interview (and photos!) about The Politician's Husband. That link also has interviews with Emily Watson and writer Paula Milne. The DVD of The Politician's Husband is now available to pre-order on Amazon.co.uk. It will be released on Monday 29th April. 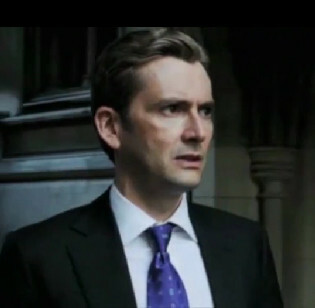 There are chances to see clips of two new David Tennant projects before they are released. 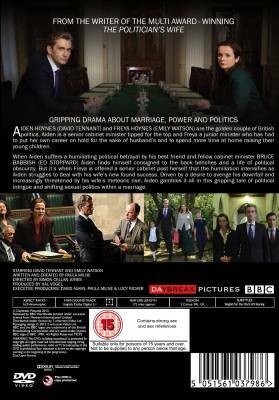 On Monday 24th September at the British Film Institute on the South Bank in London, there is a screening of all three parts of A Politician's Wife. 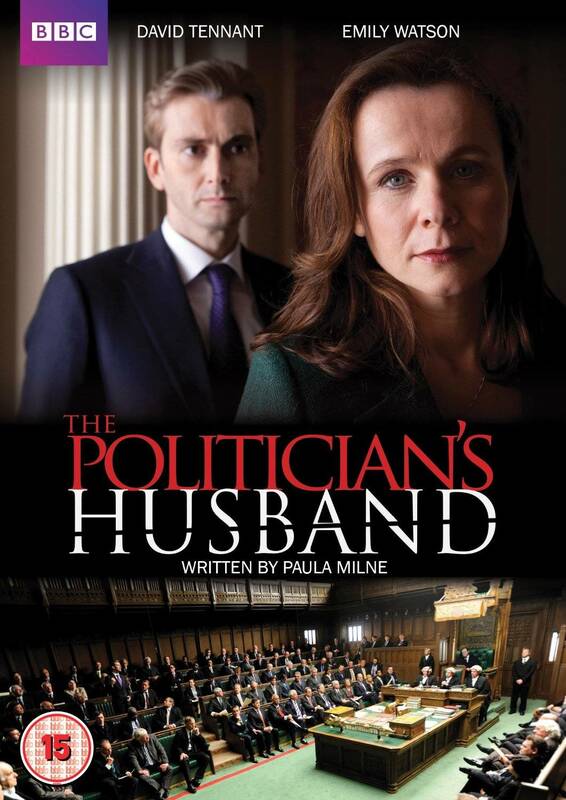 There will be a Q and A with the writer Paula Milne which will be "illustrated by clips from her past work and her eagerly awaited follow-up, The Politician�s Husband."